The Researchers María Martinón-Torres and José María Bermúdez de Castro have co-authored a research about the hominids from Tongzi which was published in the Journal of Human Evolution from the Centro Nacional de Investigación sobre la Evolución Humana (CENIEH) which reveals that Tongzi teeth do not fit the morphological pattern of traditional Homo erectus and that these teeth could potentially represent the highly targeted “Denisovans”. Between 1972 and 1983, the four teeth were discovered in the Yanhui Cave in Tongzi, Southern China. Their chronology is between 172,000 and 240,000 years old and they were originally identified as late Homo erectus or ancient Homo sapiens. This research was led by Song Xing from the Institute of Vertebrate Paleontology and Paleoanthropology in Beijing (IVVP). The morphology of hominid teeth has been reassessed by geometric morphometrical analysis and Micro-Computed Tomography (micro-CT) as well as through morphological standard comparisons. 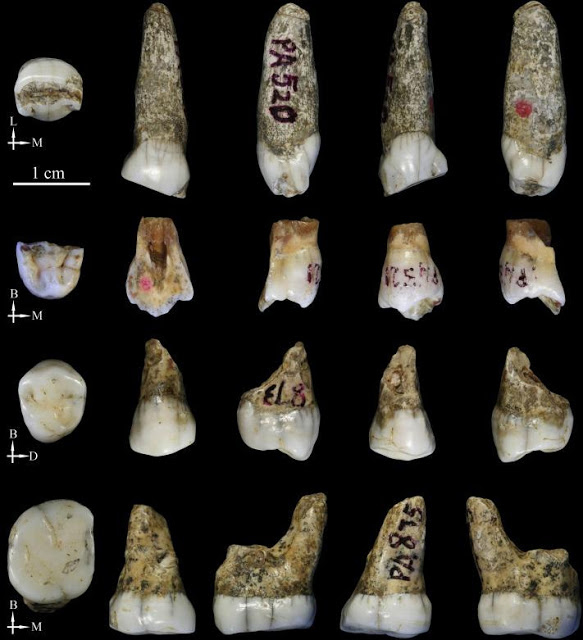 Tongzi teeth have been primarily compared with hominids during the same chronological period (Late Middle Pleistocene) and/or in the same geographical region (East Asia). However, the comparative sample includes a wide range of hominids. More generally, the results indicate the existence of more than one human population in East Asia during this period: one which may be taxonomically classified as Homo erectus (exemplified by fossils such as Zhoukoudian, Hexian and Yiyuan); and a second which may be characterized by the existence of derived traits more commonly observed in recent species of the Homo genus, such as crown symmetry, tongue thrusting and the simplified dentine surface of the third premolar. “More genetic and fossil discoveries would be necessary to evaluate the taxonomy of the “non-erectus” populations of the Middle Pleistocene, such as the Tongzi hominids, which could be good candidates for the Denisovan ancestry,” says María Martinón-Torres. 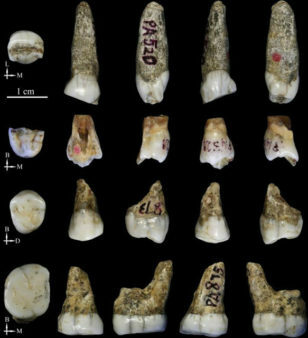 These populations are related to the Neanderthals who lived in Asia during the Late Middle Pleistocene and the Upper Pleistocene period which was discovered in 2010 from the genetic analysis of a phalanx and a tooth found in the Denisova cave in the Altai massif (Russia). An abundant amount of genetic information has been collected from the Denisovans but there are very few fossil remains. Therefore, both their physical appearance and their identification in the fossil record remain a mystery.